Privacy fences are often constructed out of wood. Privacy fences are barriers that help to shield a given space from observance by people outside the perimeter of the fence. Often, a privacy fence is constructed of wood or metal panels woven together in a pleasant design that makes it possible for homeowners to enjoy the front or back yard areas without intrusion from neighbors or people passing by the home. Along with creating privacy for the homeowner, fences of this type also provide a measure of security for the occupants of the home. One of the distinguishing characteristics of a privacy fence is that the structure is considerably taller than other fencing options. This is because the fence must be tall enough to prevent others from being able to peer over the top of the structure. It is not unusual for this type of fencing to be roughly one and a half times taller than the average American male. Unlike chain link fencing, a privacy fence does more than simply enclose the property. By blocking the view from adjoining properties or the street, a metal, masonry, or wooden fence of this kind also ensures the homeowner of being able to enjoy the property in ways that would not be possible or comfortable otherwise. For example, family members who would like to sun bathe in the back yard can do so without any concern for neighbors or passers by observing or disturbing them. Spouses can enjoy a romantic evening by the pool without any fear of attracting the attention of others. Parents can rest assured that children can play in the yard unobserved from the street, and remain safe from harm. To install a fence of this type requires some advance planning. It is necessary to determine the site for each section of the fencing, as well as choose the materials and design for the structure. Homeowners usually opt for a design and materials that blend in well with the look of the home and the surrounding landscape. Thus, a brick privacy fence may be ideal if the exterior of the home is bricked. At the same time, the owner may opt for a wooden fence that can be painted to blend in with the trim on the exterior of the home. Like all types of front yard and backyard fencing, a privacy fence does require routine maintenance in order to remain sturdy. 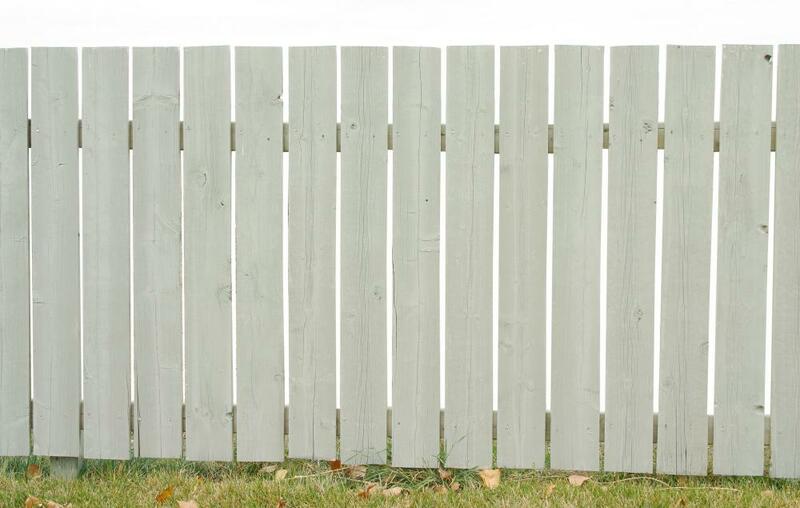 Wood fences should be painted and resealed regularly to keep the wood safe from infestations and weathering. Brick and other masonry should be pressure washed from time to time in order to retain a fresh and clean appearance. Taking proper care of the fence will help to ensure the family can enjoy their privacy for many years before replacement is necessary. Be careful about how tall you build it. We started building a privacy fence that was about 6'5", only to be reported by a grumpy neighbor to the city. The inspector came out and said that according to code the fence could not be any taller than 6ft even. We only had to take one row down, but the whole process was frustrating. Avoid the pains in the rear and double check the local building codes first.